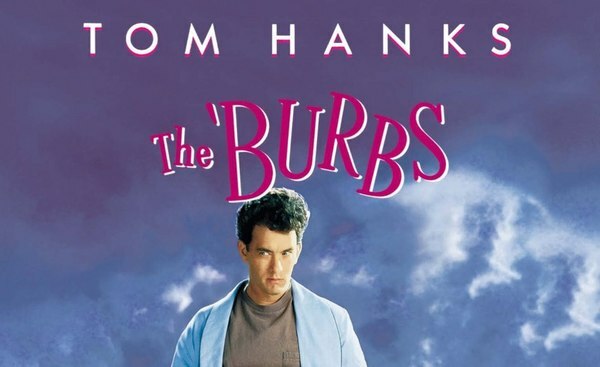 There is so much to love about The ‘Burbs starring Tom Hanks as Ray Peterson, directed by Joe Dante (Hawaii Five-O, Gremlins). Whether it’s Corey Feldman as neighbourhood teen Ricky using the exact tone of voice that would get him the role of Donatello in Ninja Turtles or Carrie Fisher as the concerned Carol Peterson (Very timely we know! ), The ‘Burbs is full of nostalgia and beautiful homes that provide a perfect backdrop reflecting the glory that is late-80s suburban life. Ray and Carrie Peterson live right next to the new family on the block, the Klopeks, who are a little more "eccentric" than the rest of the suburbanites in the neighbourhood. The Klopeks rarely leave their house and routinely have peculiar noises emerging from the basement, which prompts Ray and his wacky/paranoid friend Art (Rick Ducommun) along with the odd, former soldier Lt. Mark Rumsfield (Bruce Dern) to act on their suspicions and investigate the Klopek home on the assumption there is a bounty of wrong-doing going on inside. The neighbourhood in question though, is certainly an iconic one. Known as ‘Colonial Street’, this Universal Studios Hollywood set has been used for over 60 years, housing Leave it to Beaver as well as serving as the backdrop for Desperate Housewives. However, for The ‘Burbs there was plenty of upheaval and reconstruction done to accommodate the needs of a Tom Hanks movie, who was on the rise to his icon status at the time having recently starred in Big. This included the removal of the historic Leave it To Beaver house (later rebuilt) to make way for bigger homes. As well, an entire area called "Circle Drive" was sectioned off only to be re-opened for the next movie. 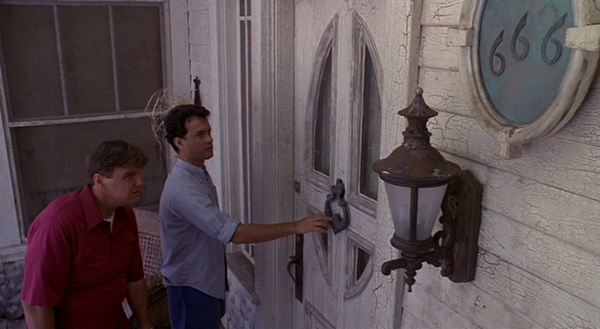 While the movie is filled with beautiful homes that would likely be priced between $1-2 million in modern times, The ‘Burbs showcases more real-estate nightmares than dreams over the course of 90 minutes. Take poor Ricky (Feldman), spilling paint all over his front porch would likely result in hours spent in paint stripping, with the cost of repainting the exterior likely between the $350-400 range per 125 sq. feet. Then there’s the disaster that is the Klopek residence. Unkept yards are not a fineable offence in all jurisdictions, but in some, if a complaint is called and the situation is not handled after a first warning, there may be a fine from the city to clean up your yard. Garbage spilling onto the streets (which the Klopeks are more than guilty of) will certainly result in municipal fines, and definitely result in a crooked-eye from waste collectors. Poor old Walter down the street is not exempt either; he will be fined for not cleaning up after his dog. In Toronto, failure to scoop carries a $225 fine, with other animal-related charges going up to a possible $5,000 max penalty! Even though many of the annoying, pestering and often intrusive neighbours in the film are cause for most people to consider moving (just ask anyone who has had a live-in landlord), the real costs come when one of the character’s house burns down (we won’t say which). This is what makes the process of a home inspection so integral. Leaking gas pipes, broken pilot lights or even an unsafe washer/dryer unit can cause devastating damage to a house if not taken care of. When buying a new home, it is paramount to use a qualified agent with connections to a trusted home inspector to ensure everything from blown fuses to cracked pipes are identified to prevent fire/water hazards, which can inevitably cost thousands to repair down the line if overlooked. 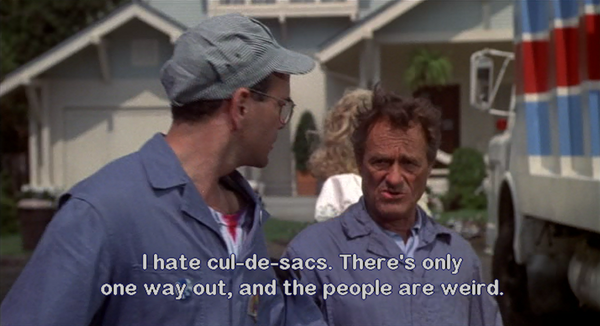 Despite multiple lapses in real-estate related judgment, The ‘Burbs certainly withstands the test of time with its various characters, most of which the audience can relate to in some degree. The movie doesn’t have many timestamps in the dialogue that remind you of its age, with Tom Hanks delivering an impeccable performance as usual, truly making him the star. This movie made me not want to move to the suburbs ever! So many people to deal with, and weird people most of them!! But the movie itself is a true ’80s and a true Tom Hanks classic. Back when comedies weren’t just stupid 90 shots of people getting drunk and throwing up around. Nothing beats a good ’80s classic. Actually, I did review The Money Pit as well. 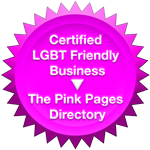 You can find it here: link to juliekinnear.com if you’re interested. I love this! Very clever & informative. Thanks, Jonel! I’m glad you liked it.